I am a Métis artist, writer, vocalist. Creativity is my passion. I express myself through, paint, photography, sculpture and song.The subject often directs the medium. I am most interested in expressing that which has no language:the raw, unedited emotion that lies in each of us. Sherry Leigh Williams is a Métis artist was born and raised in a remote rural area known as Shining Bank Lake Alberta. She ranched in Little Smoky, A.B and Chetwynd, B.C where she raised her family. A self-taught artist during those years her work was awarded in the Images and Objects juried shows in Fort St John, BC and toured the province. Williams relocated to Salt Spring Island in 1998 where she continued to pursue her artistic development. After much deliberation she relocated to Victoria, BC to follow a lifelong dream of becoming a visual arts professor. Graduating in 2004 with a VCA Diploma in Fine Art, and was ranked in the top two percent of any student ever taught by Robin Mayor director of Victoria College of Art. From 2004-2008 Sherry was immersed in the Bachelor of Arts program at the University of Victoria. Sherry maintained top academic standing, and was inducted into the prestigious Golden Key Honor Society. Unfortunately her dreams were cut short when she was involved in two motor vehicle accidents that resulted in a chronic disability that has greatly impacted her life. Sherry was actively involved in numerous art related events and her work has been featured in several media reports. Her photography The ‘Magna Carta Tree’ has been featured in The Times Colonist as part of a campaign by The Lands Conservancy to protect the forest surrounding Royal Roads University. Commissioned by The Bay Center in its downtown location in 2004 to paint a historical motif on her Orca as part of The Orcas In The City project. 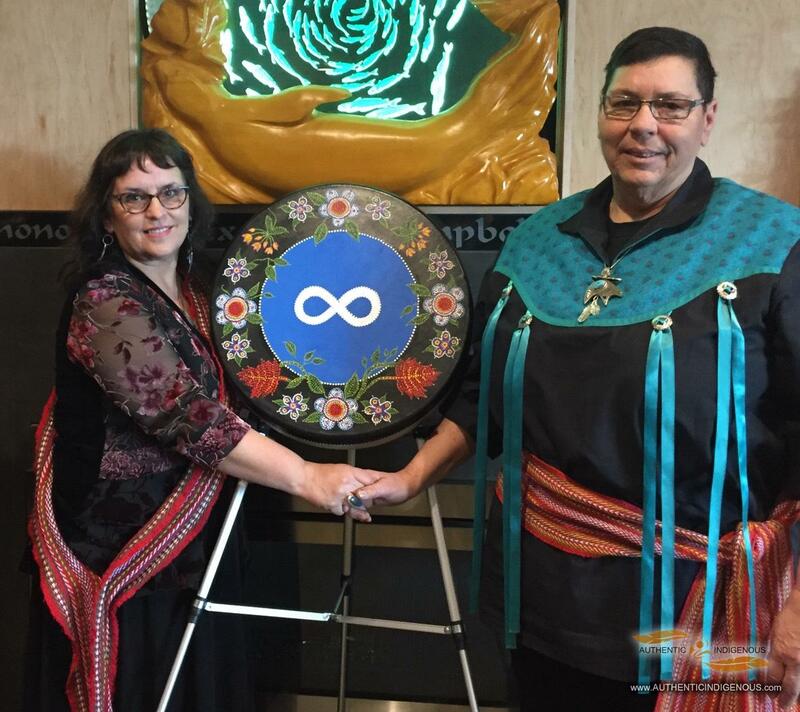 Deschamp’s Quest was a wonderful opportunity to share my own family history as a Metis person, and as a descendant of the rugged Metis Voyageurs – said Williams. Williams was community artist for Luminara Victoria where she created larger than life sized sculptures for the community lantern events. 1990-96 Sherry and Angelique Prince with the support of Yvonne Eldon of the Chetwynd Community Art Council created a Hands on Art program in the public schools. As an educator, and author Williams taught in many public schools in Alberta and British Columbia as well as jewelry making at Northern Lights College, Chetwynd, B.C.